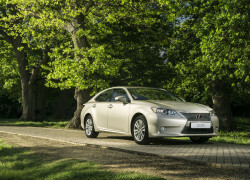 Lexus South Africa has confirmed that the luxury marque will expand its model range by adding the all-new ES 250 to the local Lexus line-up in November 2013. Appropriately, the Johannesburg International Motor Show will be the first public outing for this model. Originally introduced in 1989, the Japanese-built ES is now in its sixth generation and is officially the world’s best-selling Lexus sedan. Justin Ryan, General Manager: Lexus SA, said the addition of the new ES served to reinforce Lexus’ ongoing commitment to customers and innovation. “The introduction of ES to the local market is a direct result of customer demand for a more accessible, value-oriented luxury offering from Lexus and we are pleased to have secured not one but two options for them while simultaneously expanding our innovative hybrid vehicle portfolio (the ES 300h will initially be available on order). “Price-wise the new ES slots in just below the IS range but spatially it offers accommodation closer to that of the GS – think of it as the spacious and comfortable alternative to the more dynamically focused IS and GS ranges. “Elegantly styled yet suitably bold, the ES is underpinned by a chassis that offers satisfying driving qualities and an incredibly smooth ride. This is matched by unprecedented levels of standard equipment, leading technology and a high quality interior bristling with all the latest luxury and modcon features”, Ryan said. The new ES is the latest model to wear the bold new face of Lexus: the dramatically sculpted spindle grille. Other striking L-Finesse-inspired features include a strong shoulderline, daytime running lights, and a broad, ground-hugging stance. Short front and rear overhangs – either side of a wheelbase extended by 45mm – and dramatic 17-inch alloys also accentuate the sense of purposeful composure. The interior offers class-leading spaciousness along with an enhanced driving position. In comparison to the outgoing model (not available in SA) the latest ES comes with a reduced steering wheel angle to improve the feeling of control at the wheel, while front seats can now be lowered by a further 15mm for better headroom. Rear headroom is increased by 20mm and rear knee space is up by a remarkable 60mm. The ES interior is a harmonious balance of engaging warmth, ergonomic intelligence, and leading-edge technology. Standout features include the second-generation Remote Touch interface working in perfect union with the eight-inch deep-set color monitor, fully integrated satellite navigation, wall-to-wall leather with high quality stitching and ambient lighting. It also shares many features with the new GS such as the analogue clock and the Nano-e climate system. Additional standard niceties include a moonroof, remote keyless entry, power seats with seat heaters (driver’s seat memory), electrochromatic mirror, back guide monitor and PDC. Luxurious style, meanwhile, can be seen in the Piano Black finishes and the Champagne Silver console trim. The new ES provides a wealth of highly advanced passive and active safety features. Among them: Lane Change Asssist with Blind Spot Monitor, Vehicle Stablity Control, as well as ABS with EBD and Brake Assist. There are also 10 airbags as standard. The rotary drive mode selector allows the driver to access ECO, NORMAL, or SPORT settings. This enables a wide spectrum of experience in the ES, from highly economical and relaxed driving in ECO – where features such as throttle responses and air conditioning are moderated for optimum efficiency – to the far more sporty and direct SPORT mode. Instrument cluster illumination reflects the mood: blue for ECO and red for SPORT. The ES 250 is powered by a new 2.5 litre Dual VVT-i twin-cam four-cylinder engine that produces 135 kW at 6,000 rpm and 235 Nm of torque at 4,100 rpm. With the aid of the standard six-speed auto, the Lexus ES 250 does the century sprint in under ten seconds and can exceed 200 km/h. The Lexus ES 300h (order only) sees a 2.5 litre single VVT-i twin-cam Atkinson cycle four-cylinder unit (118 kW at 5,700 rpm and 213 Nm of twist at 4,500 rpm) joining hands with a 105 kW electric motor that’s fed by a 650V nickel-metal hydride battery for a combined 151 kW output. 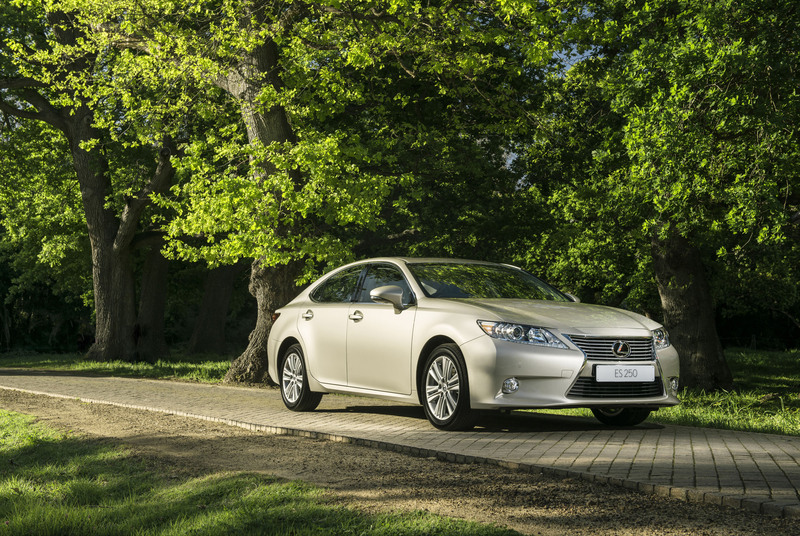 Equipped with an ECVT system, the Lexus ES 300h does 0-100 km/h in 8.5 seconds before maxing out at 180 km/h. « Best Car in the World?